After a long summer of sunburn and cricket, round one of the 2019 Shute Shield season is finally upon us and we begin with an absolute cracker. 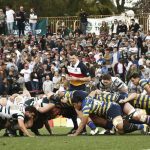 Sydney Uni begin their title defence against Easts, Warringah host Norths and Randwick play Eastwood in three clashes that are tough to pick, while West Sydney and West Harbour will both unveil new look line ups when they face Manly and Souths respectively. A new look Manly side featuring five debutants will kickstart their 2019 campaign at home against the rebranded Western Sydney Two Blues on Saturday. After falling to eventual premiers Sydney Uni in last years preliminary final, the Marlins will start as favourites in round one, but will need to improve on their trial form according to coach Billy Melrose. “The Two Blues have got some top class ball runners across the park and I think they must have had spiders on them when we played them in a trial two weeks ago,” Melrose said. Melrose has named several new faces in his starting side including former Welsh 7s captain Luke Crocker at No.7 and exciting Kiwi centre Beaudein Waaka in the midfield. New Two Blues coach Joel Rivers has also named a host of new faces in his side to play the Marlins. Former Penrith No.9 Joey Faoagali returns to the Shute Shield, while Israel Folau’s younger brother John will start in the centres. “Manly are always difficult to beat at home,” Rivers said. After a strong off season, Rivers said it’s vital that his side starts the season well. “There is a buzz around the place with the restructure and the prospect that has brought with it, so it would be great to see the boys turn that energy into a strong performance. Rookie Randwick coach Hadley Jackson has named four players from last year’s Colts premiership winning side to start in round one against Eastwood. Christian Poidevin, Ben Donaldson, Jackson Mohi and Will Harrison will all make the jump into grade in a new look Randwick outfit. The Galloping Greens struggled in 2018 and finished ninth with just six wins but Jackson seems confident the famous club can turn things around, starting on Saturday against Eastwood. “We need to get into the game early and have our forwards set a platform in set piece and defence,” Jackson said. Eastwood are another side that have been busy over summer adding a number of big names to their roster after finishing fifth in 2018. 2017 Catchpole Medal winner Tayler Adams returns to Sydney after a stint with the Melbourne Rebels and will start at flyhalf this weekend, alongside damaging centre Enoki Muliufi. “Enoki has trialled well and although he’s only young he carries the ball really well and provides good energy for the team. His combination with Tayler Adams will be good to watch,” Woodies coach Ben Batger said. Former Southern Districts speedster Afa Pakalani has also found his way to TG Millner and will start at fullback this weekend in an impressive looking starting XV. “We are not too sure what to expect from Randwick,” Batger admitted. “I’d imagine with a a lot of their colts coming through and promoting their coach from colts they will be young, fit and enthusiastic so we will need to match them there. “Our focus this weekend is all about us and controlling what we can control. We want to make sure we play to our strengths and keep improving on what we built in the trials. Each week is a chance to get better,” Batger added. After missing the playoffs in 2018, there’s also been a changing of the guard at Southern Districts with former colts coach and Scottish international Don Mackinnon taking charge of the first grade side. Former West Harbour No.7 Jake Kay will make his Rebels debut, forcing Marcus Carbone to shift from the backrow to lock. In the backs, Christian Kagiassis has been named at flyhalf with former Welsh 7s speedster Will Thomas at fullback. It’s almost impossible to know what to expect from West Harbour this weekend after new coach Mark Gudmunson unveiled close to an entirely new starting side to take on the Rebels. The Pirates have named former Samoan 7s gun Frances Ieremia at No.7 while South African’s Tiaan Swanepoel and Tyler Fisher will start alongside one another at flyhalf and inside centre. Even Gudmunson admits he’s unsure what to expect come Saturday. “It’s going to be interesting to see how our new combinations go, because we have a lot of them,” Gudmunson said. With plenty of change on and off the field at Concord over summer, Gudmunson said it was important to start 2019 off on the right foot. The defending premiers begin their title defence against the most talked about team over summer on Ladies Day at University Oval on Saturday. Sydney Uni were simply brilliant at the back end of last season and while the Students won’t see most of their Super Rugby players until later in the season, the remnants of last year’s grand final side remains, particularly in the backs. 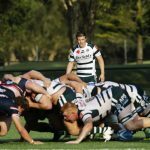 After touring New Zealand and playing matches against the Highlanders and Crusaders academy sides, Uni were beaten by Brisbane premiers GPS in the Australian Club Championship last month. However coach Rob Taylor believes his side learnt plenty from their trip to Ballymore. “It was a good chance to give a few guys an opportunity and try a few things, we also hid a lot and tried to keep it basic. Overall it gave us some good feedback ahead of round one,” Taylor told Rugby News. 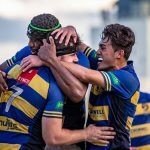 Nick Coaldrake, Will Cocker and Rory Suttor will all start in the Students forward pack against an Eastern Suburbs team that many have predicted will be the team to beat this season. “They’ll play a wide to wide game, with lots of forward runners around the corner,” Taylor said. 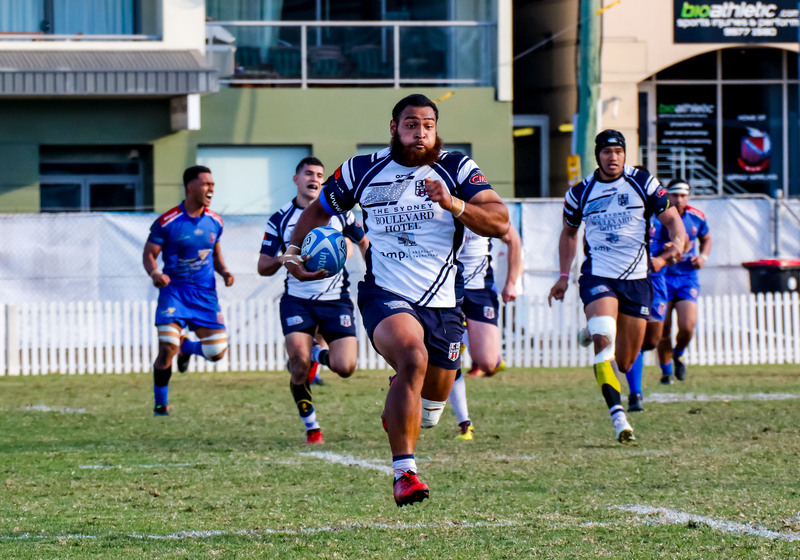 Despite the hype surrounding his side, Easts coach Pauli Taumoepeau said the Beasties aren’t feeling any pressure heading into 2019. “It’s a change to hear it, but it’s not anything that we talk about within the group. All that talk is external,” he said. Taumoepeau has named Charlie Gamble at flanker to make his Shute Shield debut. Gamble spent time in the Crusaders system and was named NSW Subbies player of the year last season. “We’ll need to do a lot of things well to beat Uni, but most importantly we need to defend well, both in organisation and in transition,” Taumoepeau said. After falling short in last year’s grand final there’s also been plenty of change at Warringah, with former Wallaby Mark Gerrard taking on the coaching role following the departure of Darren Coleman. 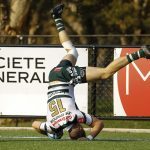 In a rematch of last year’s thrilling preliminary final, the Rats will host Norths in a blockbuster round one clash and Gerrard has handed a number of young players their first start in Warringah colours. Local junior Jack Hayson has returned to the Northern Beaches after spending a few years at Randwick and will partner Max Girdler and veteran Sam Ward in an impressive Rats backrow. Centre Charlie Tupou and fullback Liam Windon will also play their first match for the club. “We’ll need to play a high tempo game to move them around and try to force them to fall out of their defensive structures,” Gerrard told Rugby News. New Norths coach Nick Hensley has named plenty of familiar faces in his starting side to play Warringah, but admitted the Shoreman will need to improve on their trial form to challenge the Rats at home. “Our focus will be consistency. We’ve been far too scratchy through the trials so we need to find a way to apply constant pressure on both sides of the ball for longer periods of time. “Warringah will be expansive and they will hurt you with the ball if you lapse defensively, so we need to be alert. Hensley singled out Harry Burey and Connor Vest as two players to keep an eye on early this season. “They’ve had great preseasons, look physically well prepared and are really eager to get into the year,” he said.